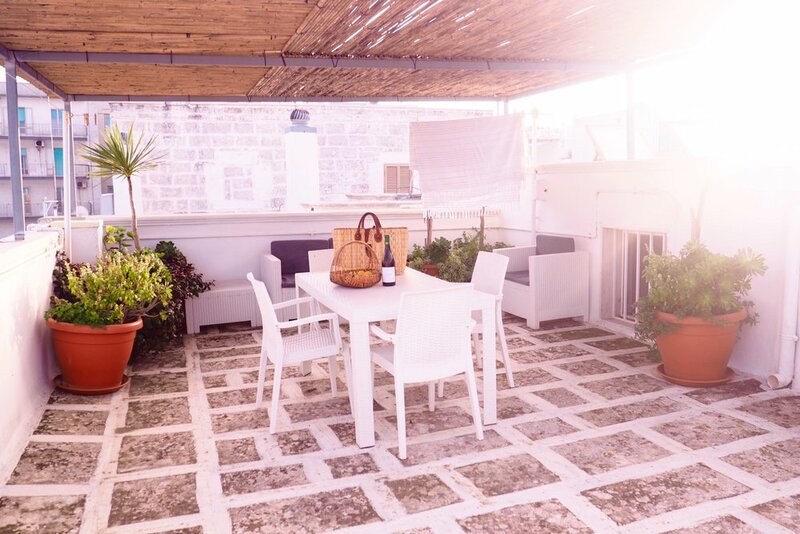 Our apartment is in the heart of Ostuni, a beautiful whitewashed town overlooking the Adriatic Sea. 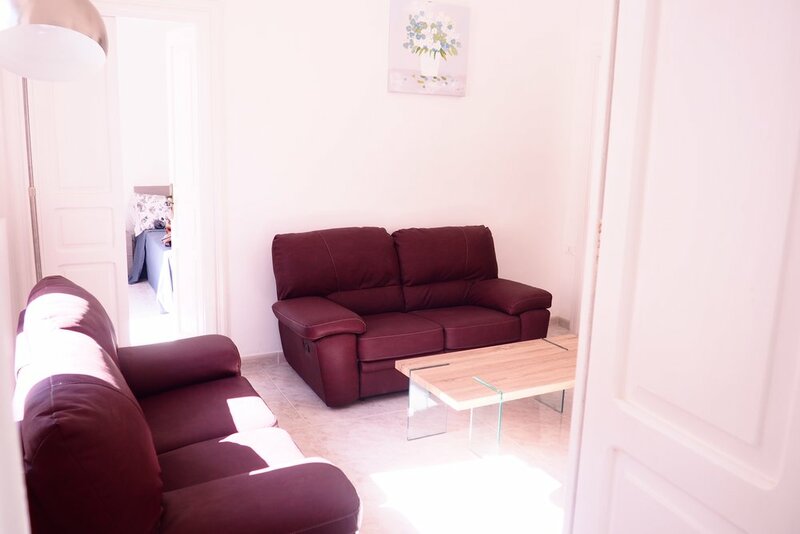 Just a short walk from the main piazza and historic old town, Casa Susana is conveniently located on a quiet street near the best restaurants, cafes, bars and parks in town. 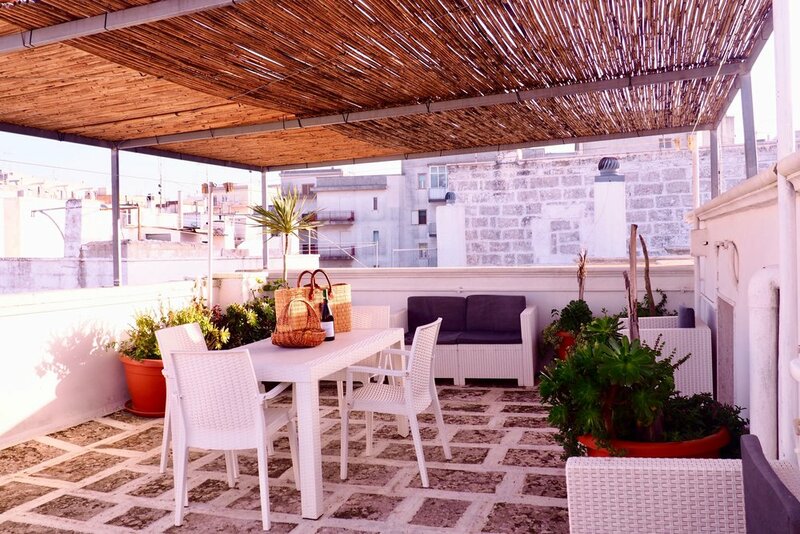 The two floor apartment has tall vaulted ceilings, three bedrooms, two baths, a large kitchen and a private rooftop terrace with views of the old town and the Adriatic Sea. On the first floor there is a large living room with a small walkout balcony. The kitchen is located on the second floor and is much larger than most of the Italian townhouse kitchens we have been in. We provide kitchen essentials so you will have everything you need and plenty of space to cook. There is a dining area, and conveniently the kitchen is just a few steps away from the outdoor rooftop terrace for dining with a sea view. The terrace has a clear view of the Adriatic Sea, and thousands of olive trees carpeting the landscape all the way to the sands of the nearby beaches. You can also see the gorgeous cathedral, duomo, Chiesa Madonna della Grata, and old town from this vantage point. Beautiful during the daytime, the entire whitewashed town turns various shades of pink as the sun goes down. A peaceful place to enjoy the fresh sea air. There are three bedrooms on the main floor with space for six guests. The master bedroom sleeps two and has a balcony with a view of the Adriatic Sea. The second bedroom sleeps two comfortably, and the third bedroom has two single beds that can be joined to make one large bed if needed. There are two full bathrooms, one on the main floor and one on the second floor. 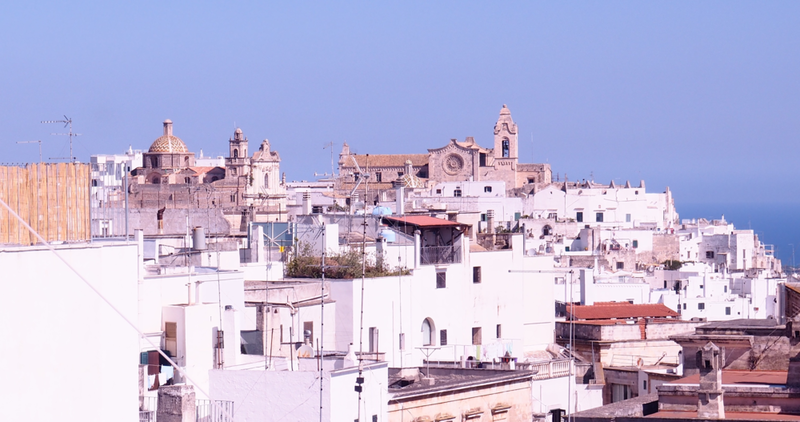 During the high tourist season it can be hard to find parking in Ostuni, and for those guests traveling with a car we have the option of renting a private gated parking space just steps from the apartment entrance. 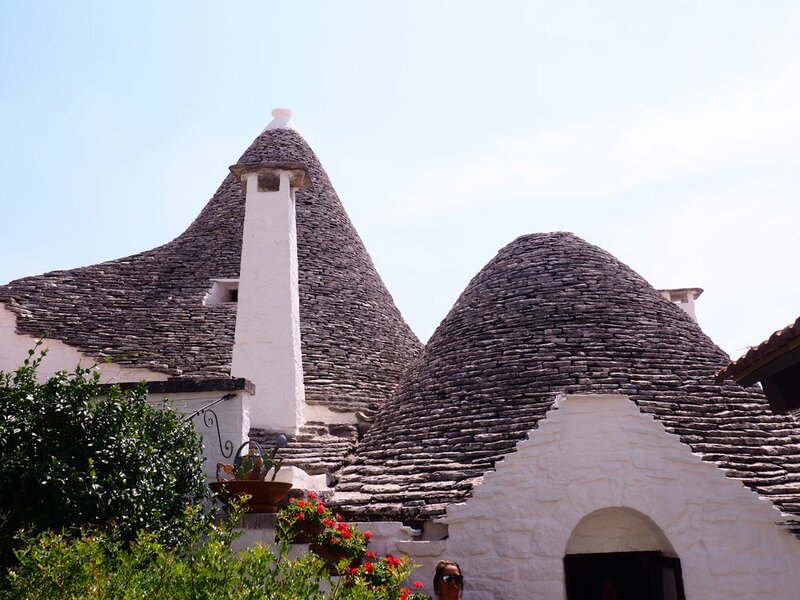 For guests who stay in the apartment we offer day trips all over Puglia where we will drive you around and guide you on tours of the beautiful surroundings. Everything from ancient ruins, beaches, gorgeous countryside picnics, vineyards, thousand year old churches, incredible fisherman run restaurants, and some of the best wine and olive oil in all of the world are right here in our back yard. 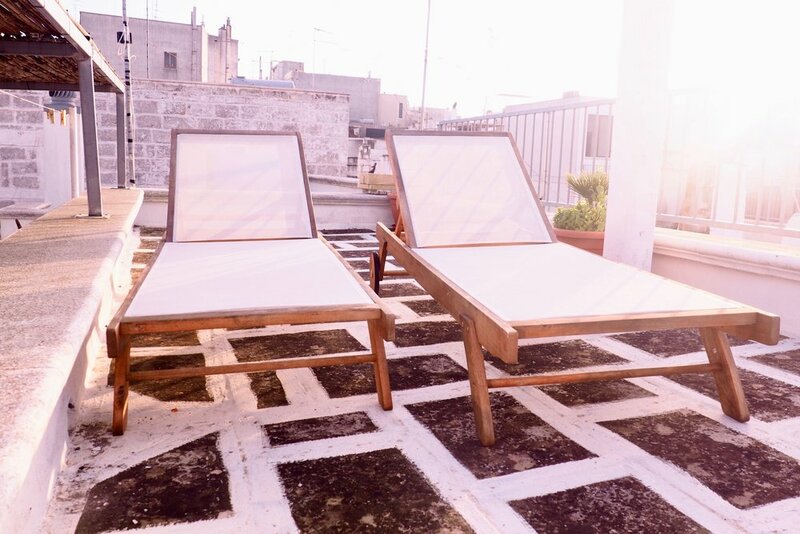 Our favorite place to spend time is out on the terrace, with a clear view of the Adriatic Sea, and thousands of olive trees carpeting the landscape all the way to the sands of the nearby beaches. 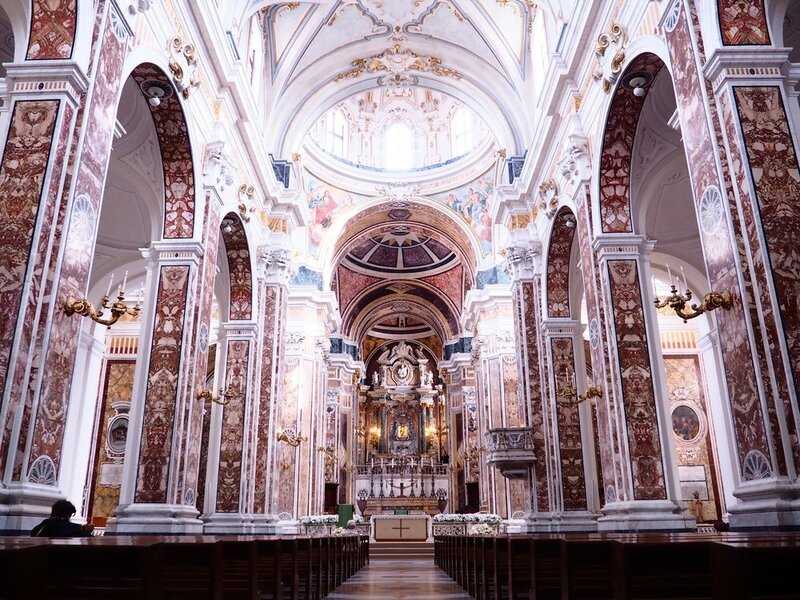 You will also be able to see the gorgeous cathedral, duomo, Chiesa Madonna della Grata, and old town from this vantage point. Beautiful during the daytime, the entire whitewashed town turns various shades of pink as the sun goes down. A peaceful place to enjoy the fresh sea air. On the second floor there is a large kitchen fitted with new appliances and kitchen essentials so you will have everything you need and plenty of space to cook. There is a dining area, and conveniently the kitchen is just a few steps away from the terrace for dining with a sea view. On the main floor there is a large living room with a small walkout balcony. There are three bedrooms with space for six guests. The master bedroom sleeps two and has a balcony with a view of the Adriatic Sea. The second bedroom sleeps two comfortably, and the third bedroom can be set up as two single beds, or a queen bed. There are two full bathrooms, one on the main floor and one on the second floor.